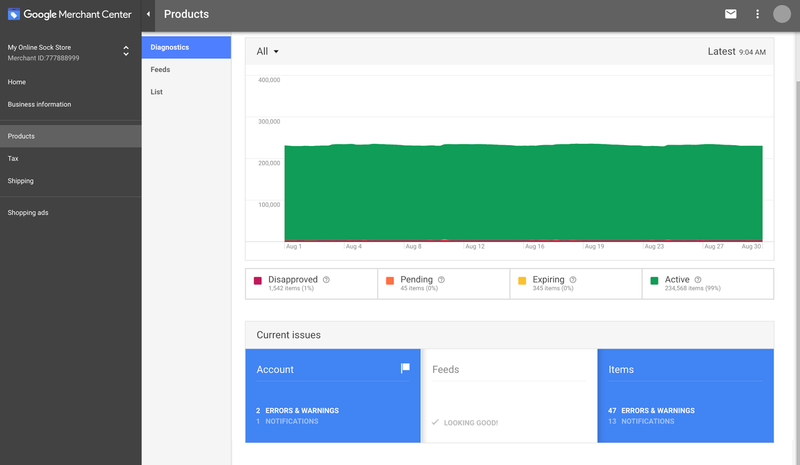 With updates to Merchant Center, you’ll see a fast, responsive new interface, aligned with the modern look and feel of the rest of Google’s products. We’ve changed Merchant Center navigation by bundling common tasks and actions. For example, you can use the new Home page to view recent announcements and dashboard data for your account, and you can find consolidated product feed and product data quality information under the Products page. For more information on navigating the new UI, visit the Help Center. Merchant Center now lets you discover new ways to apply your data to promote and sell your products. 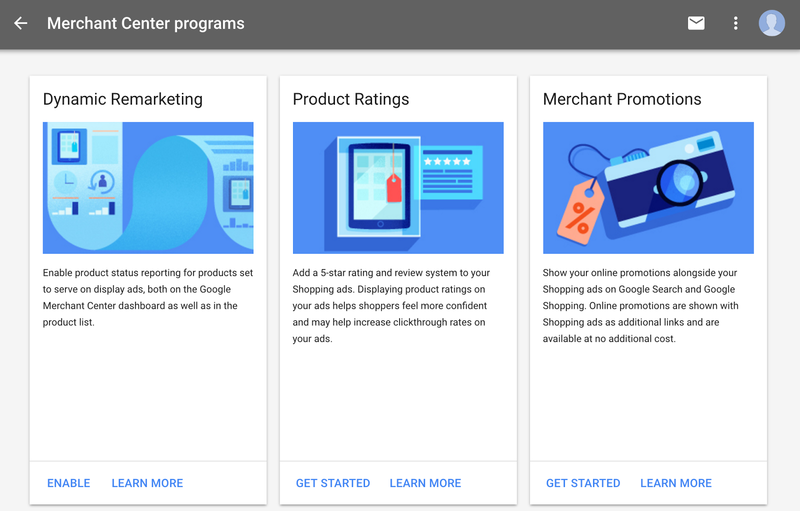 Use Merchant Center to explore additional Google programs for your products, including Local Inventory Ads, Merchant Promotions, Product Ratings and more, while continuing to manage and configure your product data for Shopping ads. You can access the Merchant Center Programs page under the 3-dot icon. Continue exploring the various programs by selecting the Learn More option in each card, and express your interest in participating in a program by selecting Get Started. Retailers have long been using Merchant Center to connect their product data to Google -- letting millions of shoppers find their products on Google.com, YouTube, and partner websites. Today, we’re excited to introduce an updated version of Merchant Center, which offers the same functionality you’re used to, with more streamlined navigation and easier access to additional Shopping programs. exists to help advertisers like you improve performance and share best practices. If you haven’t visited the AdWords Community in a while, you might be surprised by what you find. Over the last six months, we’ve made a number of exciting changes. 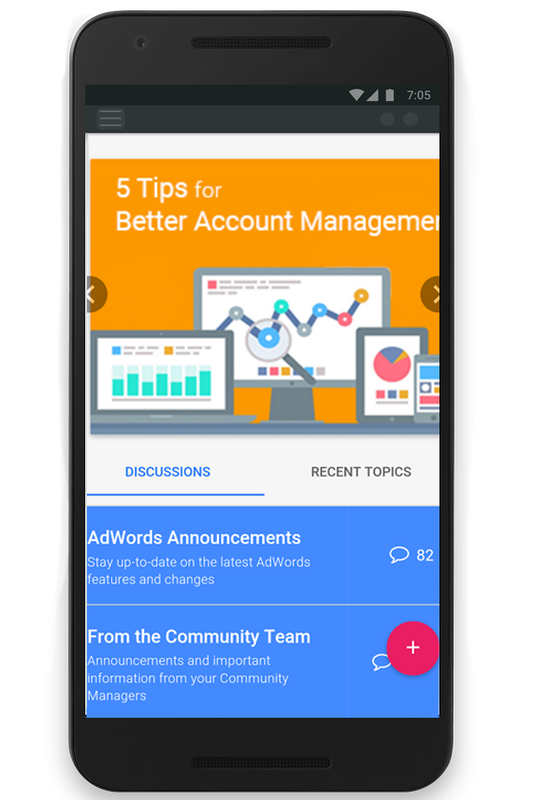 From a new design to expanded content areas, the Google Advertiser Community continues to evolve and help you connect with our experts and improve your performance. One of the most valuable resources you’ll find on the Community is the experts who frequent the forum on a daily (or even hourly) basis. These experts, part of Google’s Top Contributor program, have years of professional experience with AdWords and a passion for helping fellow Community members succeed. Most of our Top Contributors have an area of expertise. If you ask a question on the AdWords Community about account automation, you will probably meet Jon Gritton. Jon hails from the UK and runs his own AdWords agency. He is also one of our most tenured AdWords Top Contributors (he’s been answering questions on the forum since 2006!) and our resident AdWords Scripts expert. He has solved well over 800 questions in his time on the AdWords Community. We also wanted to improve the look and feel of the Community. Using Material Design, the Community now offers the same modern and intuitive experience that’s at the core of our favorite Google apps like Maps, Search, and Gmail. Managing your advertising isn’t something you only do at your desk, which is why we’re re-designing AdWords for marketing in a mobile-first world. The redesigned Community is also responsive and mobile-friendly—perfect for browsing and resolving questions on-the-go. Finally, we know that AdWords isn’t the only way to promote your business with Google. You can get information about other important Google products on the Community: Google Analytics, Google My Business, Google Partners and Google Small Business. Anyone can join the Advertiser Community, post questions and find answers. Visit today to connect with other advertisers. The AdWords Community exists to help advertisers like you improve performance and share best practices. 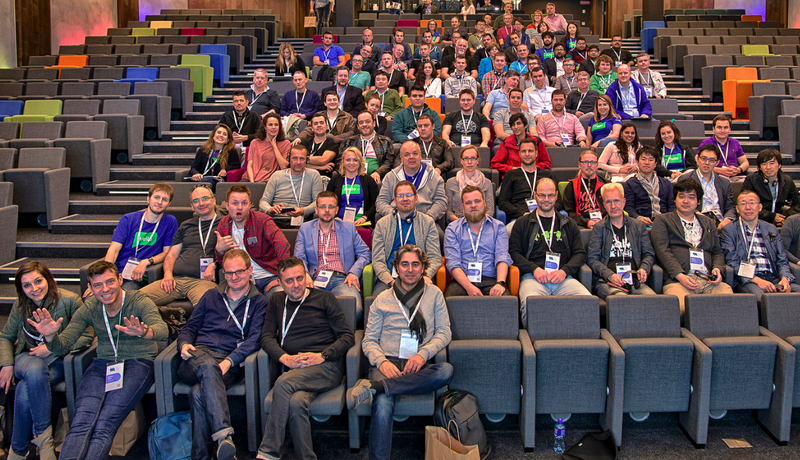 If you haven’t visited the AdWords Community in a while, you might be surprised by what you find. Over the last six months, we’ve made a number of exciting changes. 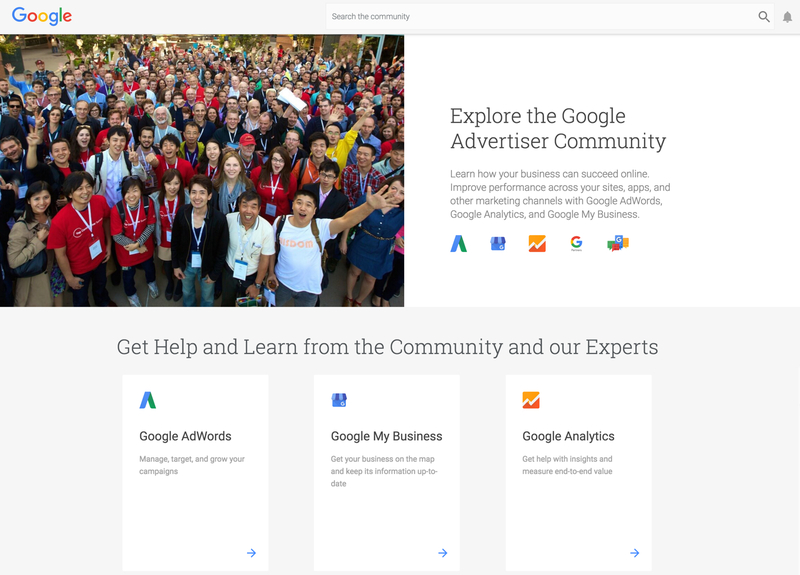 From a new design to expanded content areas, the Google Advertiser Community continues to evolve and help you connect with our experts and improve your performance.